Sunny. High around 85F. Winds light and variable..
Wake up St. Helena voters! It is time to wake up, step up and vote “yes” on Measure F. It is time to “Save our St. Helena” from “No on F” and its outside money, election influence and meddling. It is time to separate the wheat from the chaff; separate the valuable from the worthless. Who is behind “No on F”? An outside PAC - the Western Manufactured Housing Communities Association's Issues PAC - formed “Save our St. Helena-No on F.” In case you haven’t noticed, “our” St. Helena is “their” latest “project.” They are pouring tens of thousands of dollars into false and misleading advertising, a website, robocalls, and more, urging you to vote No on F in order to fulfill their mission to support mobile home park owners across the state. Given the funds this PAC has at its disposal, we can be sure that we haven’t seen or heard the last of their false statements and misrepresentations. No on F falsely claims that “residents cannot opt in or opt out” of rent stabilization. They want you to believe that Measure F will jeopardize our financial future and won’t improve access to housing in St. Helena. Who can you believe when you are faced with No on F claims that directly contradict the Yes on F Ballot Statement, Argument and Rebuttal? Thankfully, we have the Napa County Superior Court to weigh the evidence and law and make that decision. On April 11, Napa County Superior Court Judge Monique Langhorne rejected No on F claims that the city’s Ballot Statement is false, misleading and argumentative. Judge Langhorne also rejected No on F claims that the City’s Ballot Argument and Rebuttal are false and misleading. According to Judge Langhorne, the ballot question “does in fact state the true nature of what this ordinance is about." 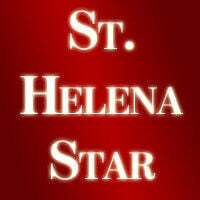 “The ruling affirmed that if Measure F passes, Vineyard Valley residents ‘would have a choice’ ... ” -- St. Helena Star, April 11, 2019. Measure F is a critical component of St. Helena’s housing strategy. If you want to do something about “our” housing issues, vote yes on Measure F. If you want to have “our” voices heard when it comes to local governance, vote yes on Measure F.
If you want to tell this outside PAC to pack up, go back to Sacramento, and leave “our” St. Helena to those of us who actually live and vote here, vote yes on Measure F.